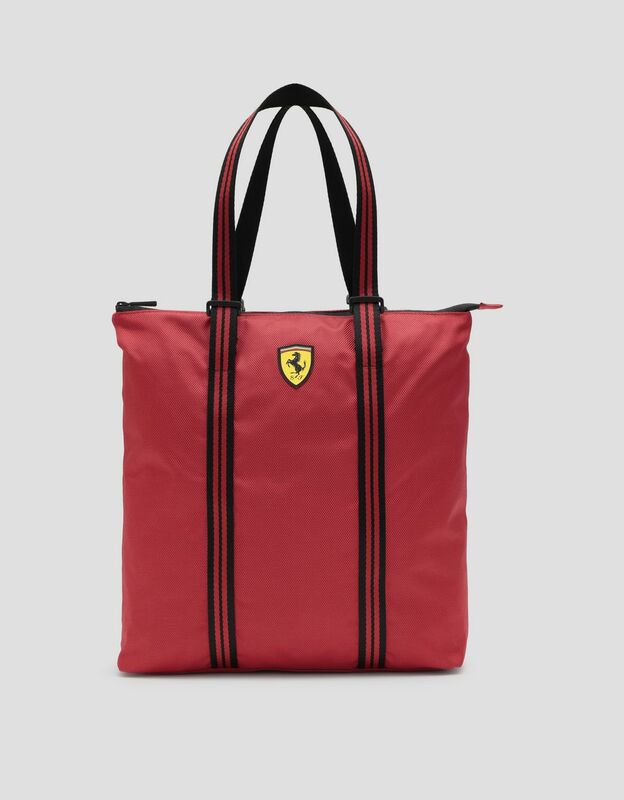 With an eclectic racing flair, this shoulder bag is an innovative take on the iconic Scuderia Ferrari style. 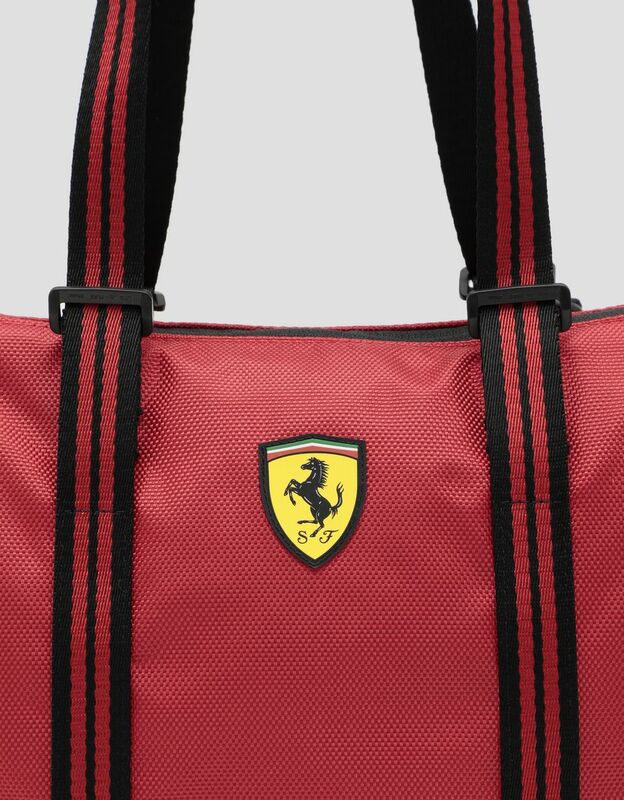 Made from a durablewater resistantAn item that is water resistant is made with a fabric that guarantees the body protection against low-intensity water sprays. technical material, the tote bag features striped ribbons with a livery-like effect inspired by Ferrari racecars. 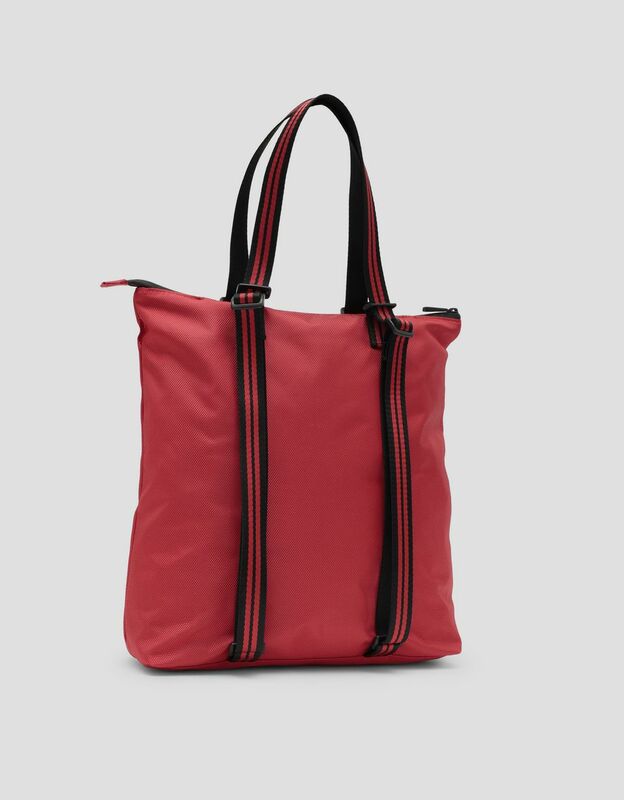 The accessory is especially versatile: it can be worn on the shoulder and can easily be transformed into a backpack thanks to the rings on the handles in the back. 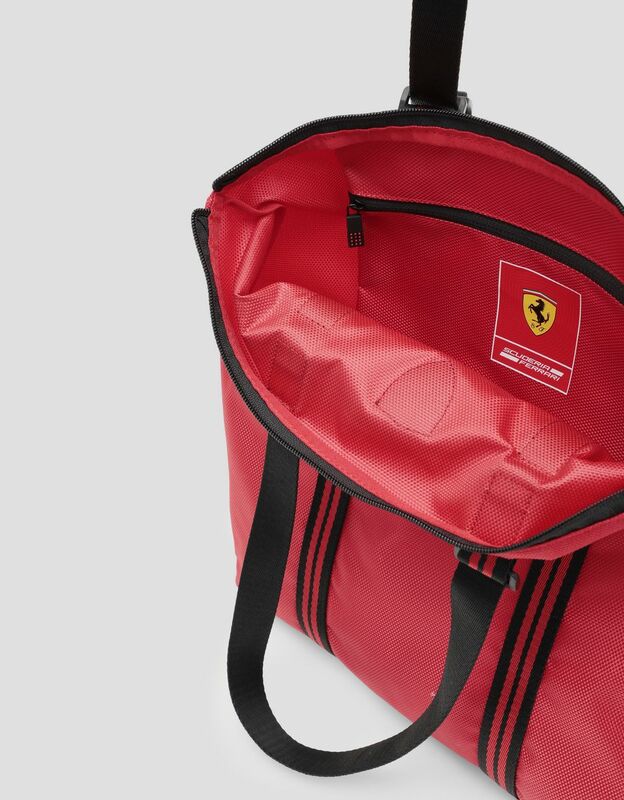 It’s the perfect bag to help you face the city streets and is customized with the Ferrari Shield and a zipper pull with 12 dots inspired by racecar brake lights.